There is undoubtedly something very strange going on in the skies. 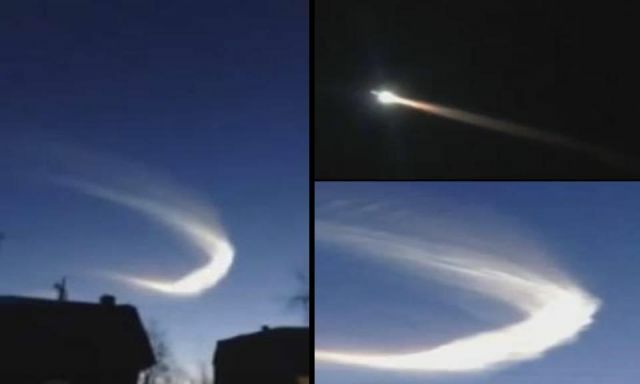 This time the sky in Russia's Far East was lit up by a strange object on January 17, 2016. It flew over the city of Blagoveschensk leaving behind a long trail of white light, which reportedly hung in the sky for the next two hours before it exploded in a bright flash. A strange looking cloud appeared in the sky after the object exploded, while witnesses claim they heard a thunderclap-like sound only eight minutes later. So far there has been no official information about the celestial phenomena. I wish we had more truth and Info on who is fighting what, up there. One of the many unusual phenomenas due to experimental military activities. This is from January 2015. It's space junk reentering the atmosphere. What's the big deal?